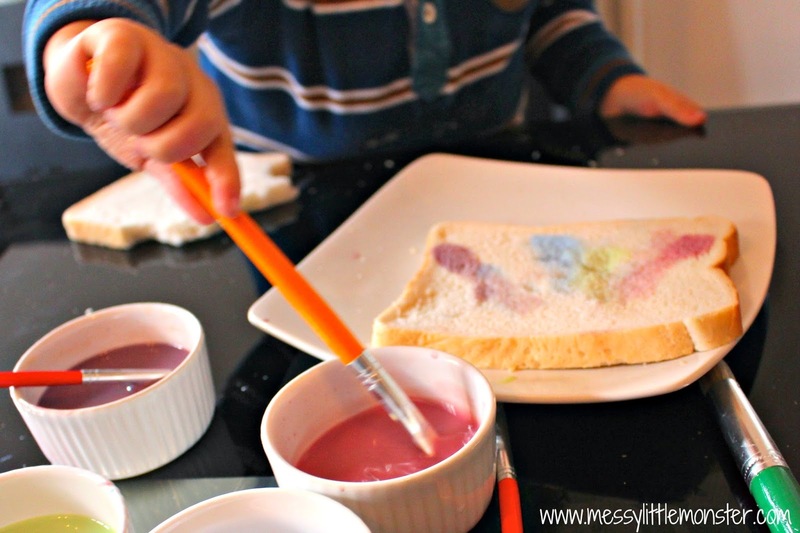 Painted firework toast is such a fun activity for kids. 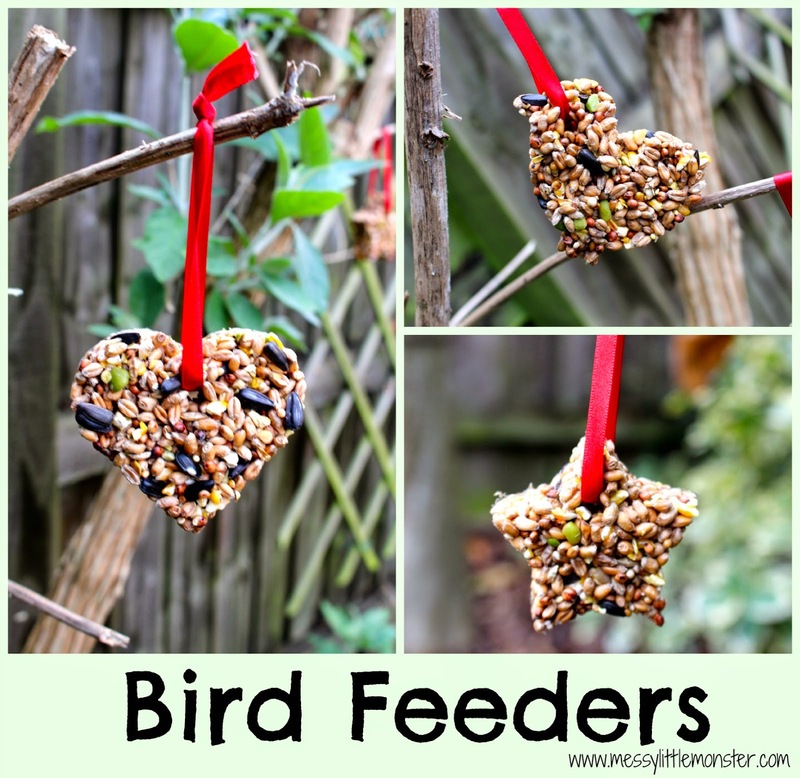 Toddlers and preschoolers as well as older kids will love this edible artwork! 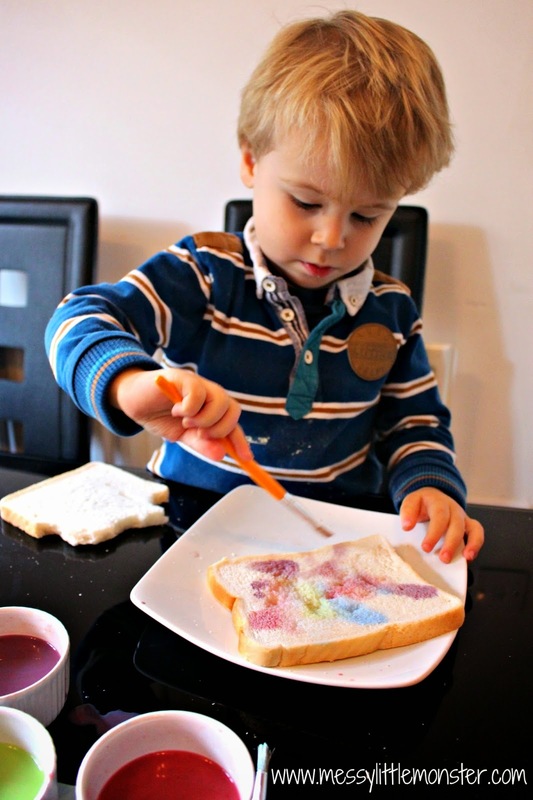 Painting on bread is a simple way to involve children with celebrating bonfire night or New Years Eve. 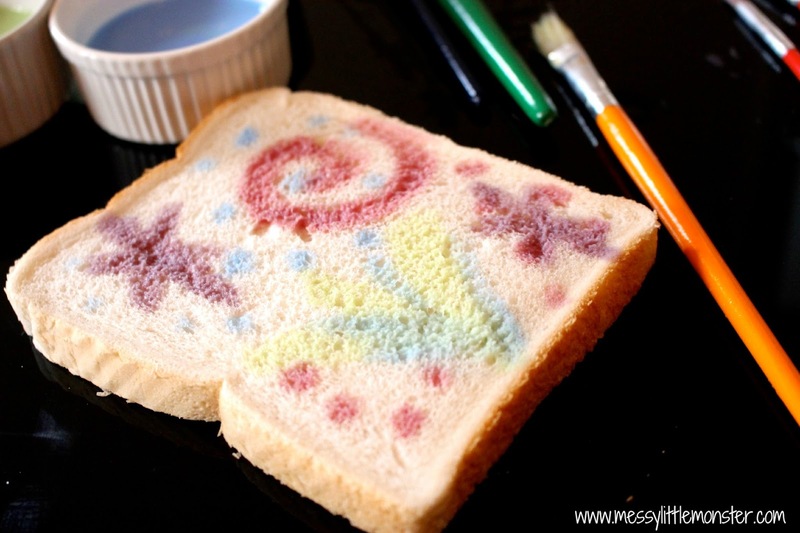 Simply paint firework shapes and patterns on bread, pop the bread in the toaster and your tasty snack is complete. 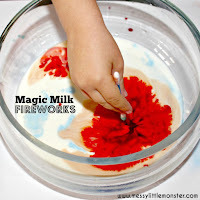 Take a look at this simple magic milk firework experiment, it really is like magic! 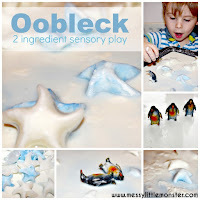 For this activity we used shop bought food colouring but have since bought wilton icing colour gel. 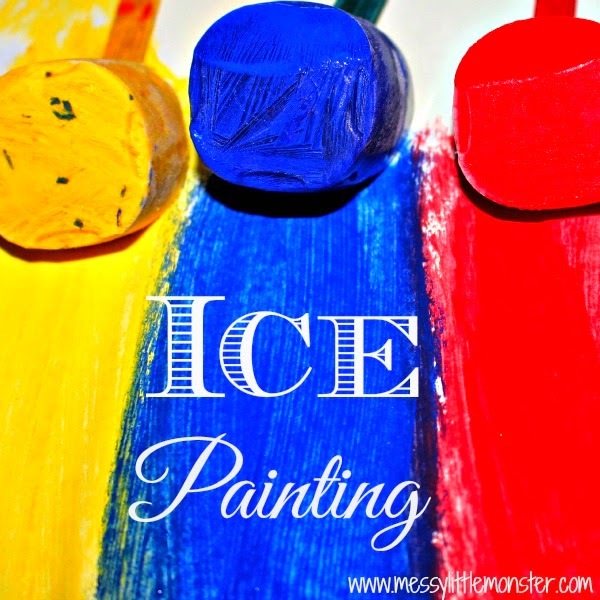 These gels make lovely bright colours and you only need to use a tiny bit. 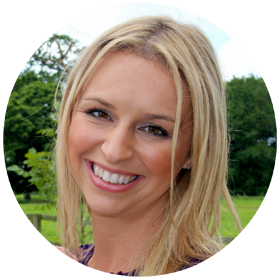 (UK link/ US link). 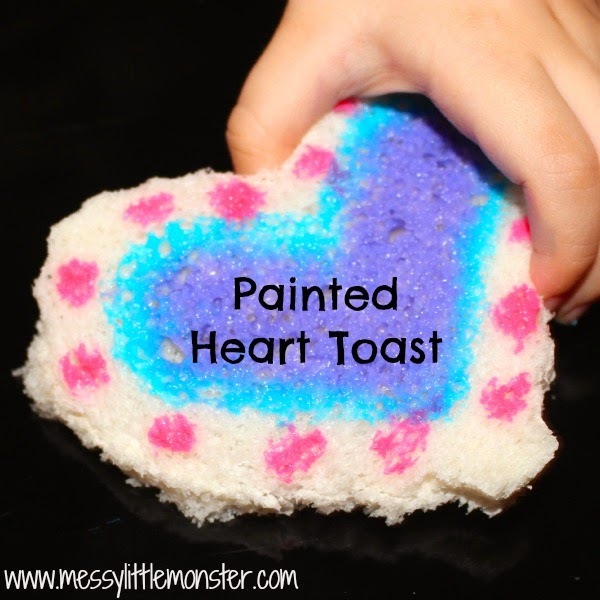 We used these gels when making our heart painted toast. 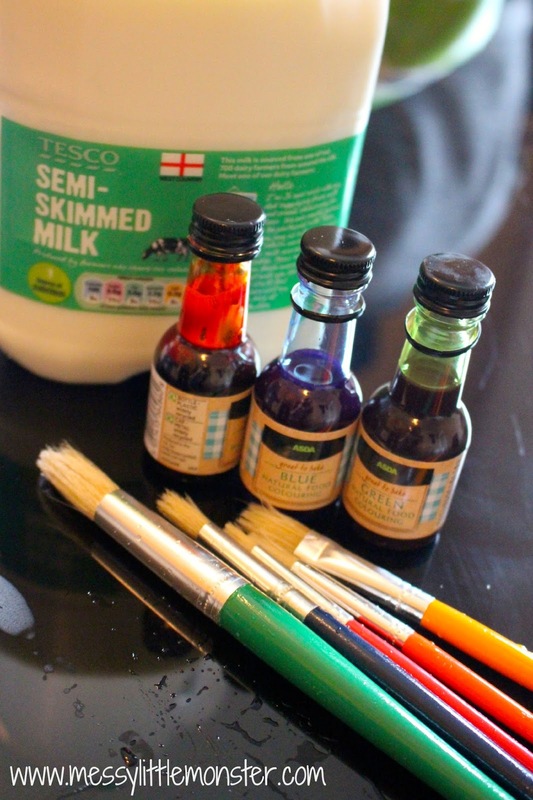 To make the 'paint' mix milk with a few drops of food colouring in your chosen colours. 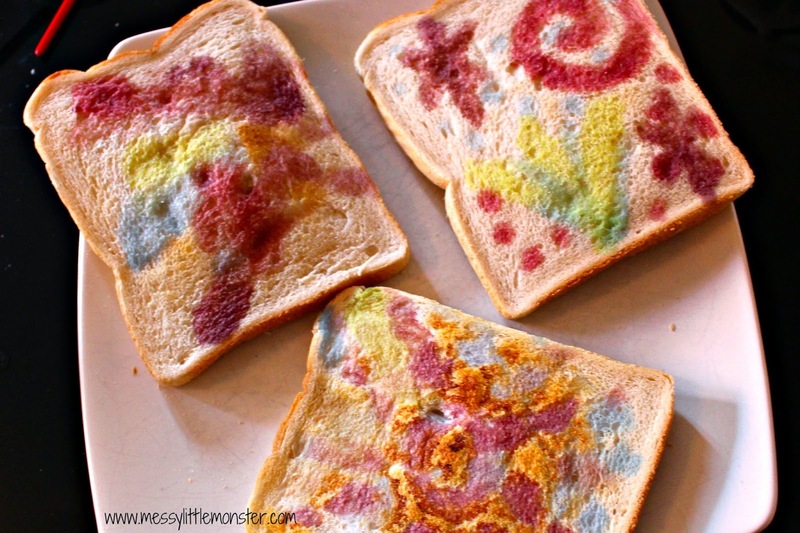 Paint patterns onto the bread. Then Harry got started. He painted lots of different coloured lines for his first piece. 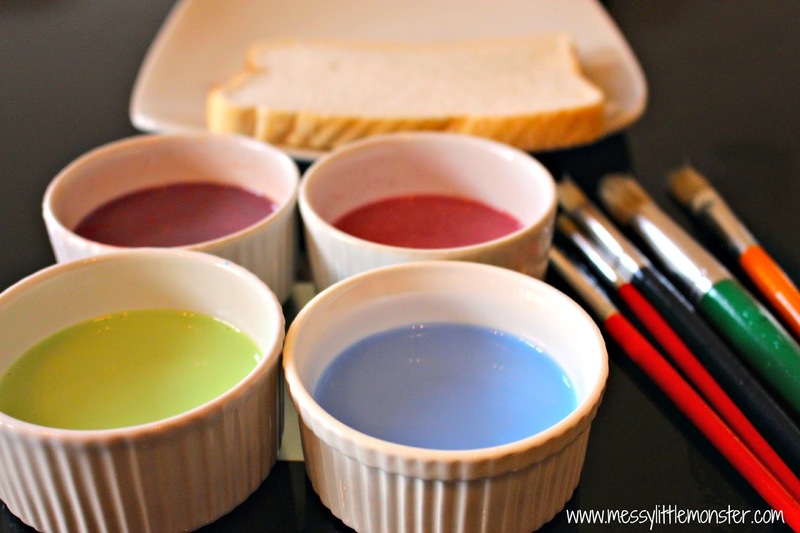 Then we did a few where we flicked different colours onto the bread. 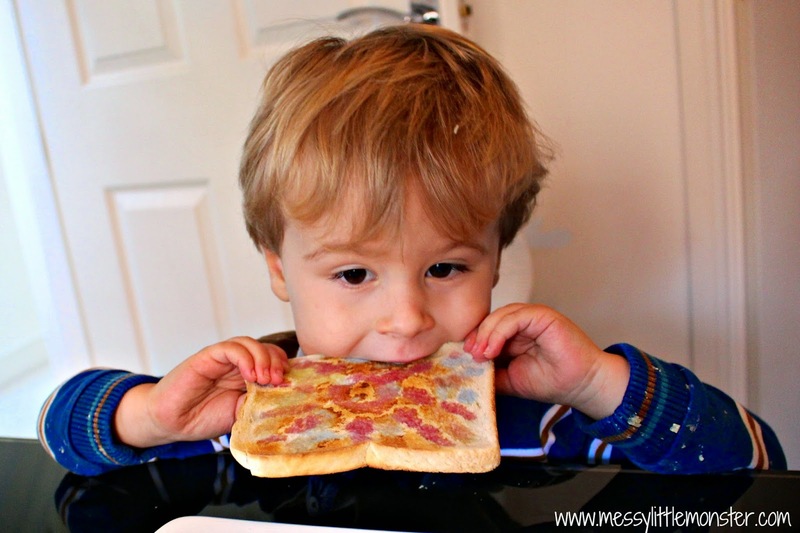 When you have finished your design pop the bread in the toaster and your firework toast is ready to eat. 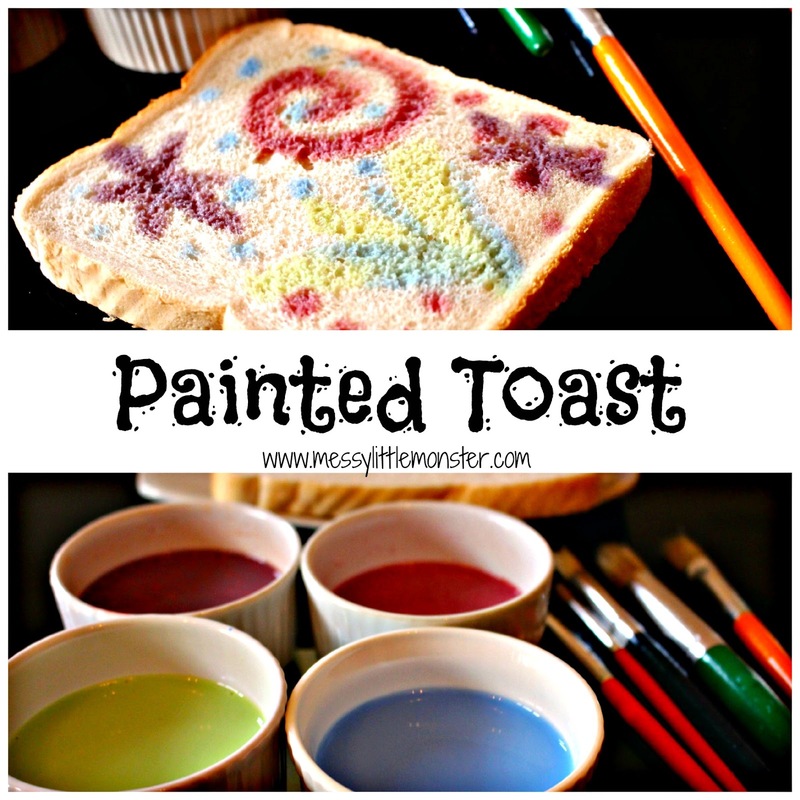 How will you paint your toast? 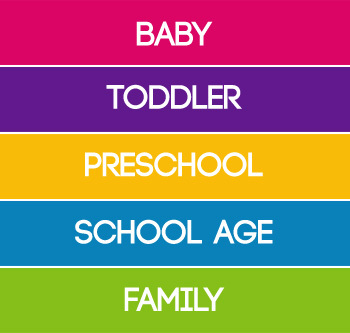 You have some cute little ones and great pictures of your activities here! 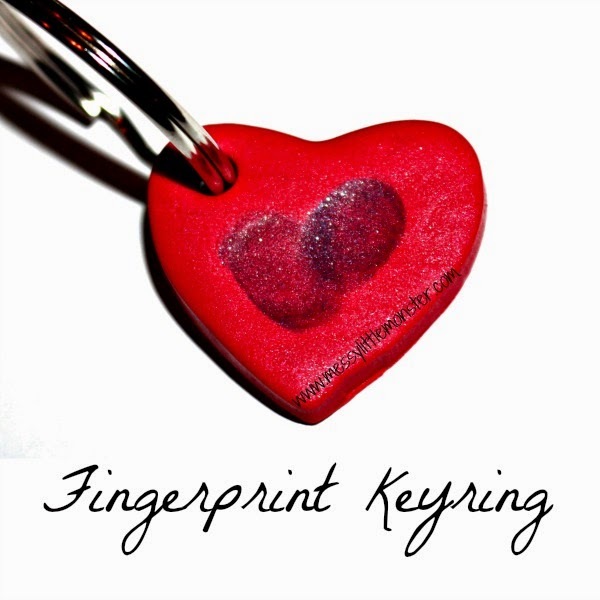 Welcome to KBN, you'll enjoy the group! I couldn't believe how much Harry ate! 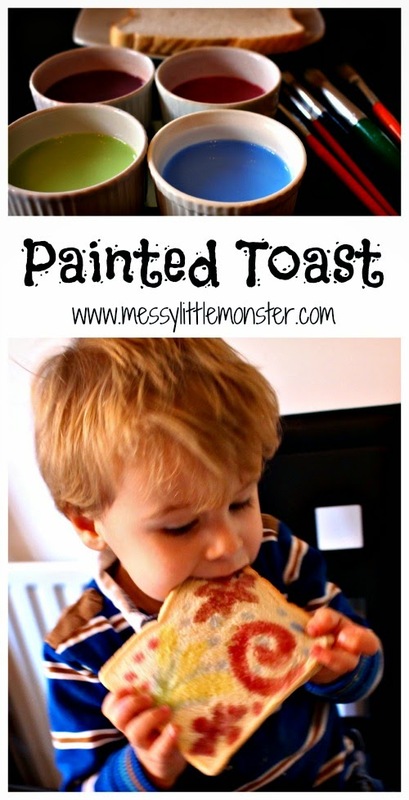 Fun way to get your kids to eat bread!